"We have been massively impressed by the customer service shown by Larry Rotta and the team. There were challenges during the job, but were quickly resolved once brought to Larry's attention. We intend to work with North American Pfister again and in fact are ready to receive a quote for windows and exterior door replacements." 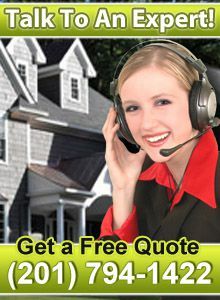 "Thank you so much for such a wonderful job with the siding and the gutters. The house looks amazing! My wife and I simply love it. Thank you for taking great effort with every little detail and making it look fantastic. You are so wonderful to work with, we have been recommending you to our friends, neighbors, and family and everyone who stops by to admire our home. Thanks a ton!!" "Thank you for all your help with my gutter problem. Finally, they are working properly, which makes me very happy. I would definitely recommend your firm to anyone. My neighbors and friends are always looking for reliable companies who stand behind their workmanship and products. Many thanks again!" "I replaced my old gutters. The new gutters work!! The sales woman, was excellent, the woman in the office was super efficient in getting me references. The work crew is very professional."